Need a new cargo van for your Clayton job site? 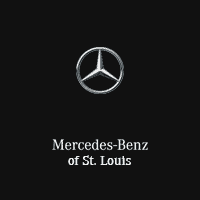 Explore the available inventory of Mercedes-Benz Metris models at Mercedes-Benz of St. Louis. You’ll have the cargo capacity and utility you need, all with that added touch of Mercedes-Benz luxury. Browse our inventory below and contact us with any questions or concerns. Why Buy a Mercedes-Benz Metris? Ready to give your next job a boost? Visit Mercedes-Benz of St. Louis today, your St. Louis Mercedes-Benz dealership, and get going on your new Metris purchase. Use our handy online payment calculator to determine your monthly payments, or explore our Mercedes-Benz Van offers to get a Metris at a great price!